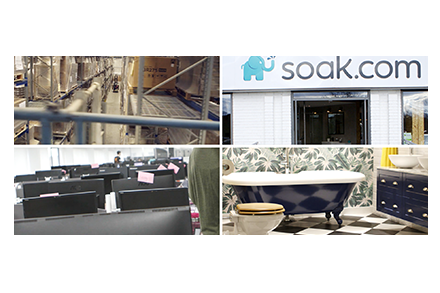 In this month’s ‘Customer in the spotlight’ we look at how leading online bathroom retailer soak.com realised they had reached the point of no return, they needed a CRM platform – and they needed it in just six weeks. The crunch point came when one customer called to complain that no one had answered their email. This prompted Dedat and Partridge to begin conversations with CRM providers, including Workbooks. During the implementation the team at soak.com was also impressed by the speed and honesty Workbooks delivered. The platform had to be in place before Christmas to enable the firm to cope with January, typically the time of year when people buy large ticket items like bathrooms and so soak.com’s busiest time of the year. That gave the team just a six week turnaround time, but Workbooks made that happen.